WhatsApp is hugely popular in Brazil where mobile subscribers pay high rates for cellular calls and messaging. WhatsApp isn't getting as much use today as a Brazilian judge has ordered the country's five wireless providers to block access to the service. Unlike past blackouts, this one does not include an end date—it's intended to continue until WhatsApp complies with a court order to turn over information. However, it says the requested information doesn't exist. The blackout is in response to WhatsApp's non-compliance with an order to provide chat logs for an ongoing criminal investigation. WhatsApp's lawyers have explained to the court that it does not have those logs, as it recently added end-to-end encryption. The judge has actually ordered WhatsApp to provide conversations to investigators in real time, like a traditional phone call wiretap. This would, of course, be very difficult even if the conversations weren't encrypted. WhatsApp will also face a fine of 50,000 reais (about $15,000) per day until it hands over the information, which apparently isn't possible. 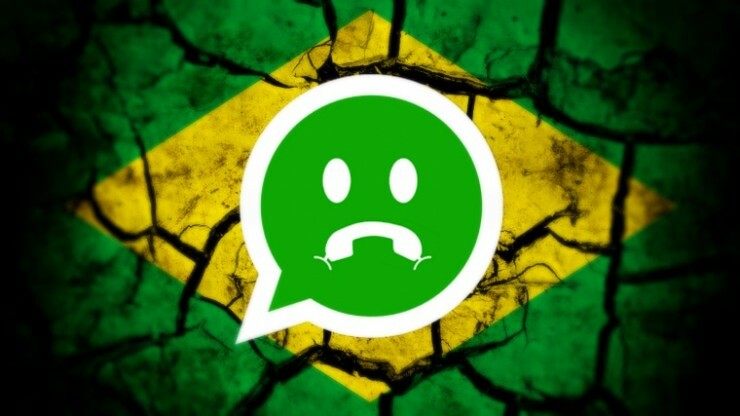 This is not the first time WhatsApp has been blocked in Brazil. In all past instances, the company was able to get the ban lifted in a day or two. There's no reason to believe this one will be any different, or that it won't just happen again in a few months. With the constant interruptions in service, more Brazilians may start using a competing service like Telegram... until that gets too big and Brazil starts banning it as well. Seeing as blocking the service wasn't changing anything, a Brazilian court has decided to freeze 38 million reais (approx $11.7M) of funds held in Facebook's account (reminder: Facebook owns WhatsApp), as reported by Reuters. This happened in the state of Amazonas, so it doesn't seem related to the case discussed in the article above, but it is another chapter in the saga of Brazilian courts vs WhatsApp/Facebook.